In March last year, we told you about a fantastic enterprise called Melbourne City Rooftop Honey which aims to help save the honey bee by bringing bees back to the city and suburbs (they describe it much better on their website than I have). Back in March they had 18 hives on roofs around the City of Melbourne. Last time I checked, they had over 40 with hundreds of people on their waiting list. Amazing. They started with a $1000 grant from the Awesome Foundation and earlier this year, the City of Melbourne gave them a further $28,000 to extend their work. Some of us were lucky enough to meet Mat and Vanessa, the lovely people behind Melbourne City Rooftop Honey, one Sunday afternoon in Coburg a few months back. They were inspiring, generous, passionate and knowledgable, friendly and accessible and really seemed to enjoy talking with people about what they do. They didn't even mind our silly questions. Merristem Community Nursery is going into hibernation for the Winter and ALL STOCK MUST GO! They will be clearing out the nursery in preparation for new Springtime propagation program and getting rid of ALL plants currently in the hot house. Please come along and invite anyone or groups you know who are involved in a school, community, guerrilla or home garden. Any plants left will be composted. All money raised will go towards repairing our irrigation system and kickstarting our new Spring plantings. 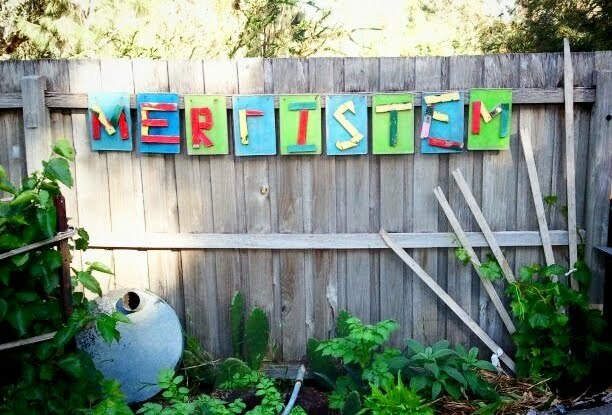 Where: Merristem Community Nursery - 38 Harrison Street, East Brunswick. You probably know about some forms of collaborative consumption even if you haven't heard that term before. eBay? Quickflix? Flexicar? We've mentioned a couple of efforts here before: foodswaps, Landshare and The Sharehood. Loads more examples and read much more about collaborative consumption here. The infographic above does it more justice than I have. It explains the various systems, principles and drivers. 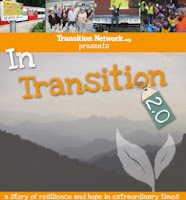 The Transition Towns movement has just launched a new film - and guess what?! Sharing Abundance has teamed up with Transition Coburg and the Moreland Energy Foundation to hold the first ever screening of this film in Australia!!! Where: Right here at the Coburg Library! "In Transition 2.0 is an inspirational immersion in the Transition movement, gathering stories from around the world of ordinary people doing extraordinary things. You'll hear about communities printing their own money, growing food, localising their economies and setting up community power stations. It's an idea that has gone viral, a social experiment that is about responding to uncertain times with solutions and optimism. In a world of increasing uncertainty, here is a story of hope, ingenuity and the power of growing vegetables in unexpected places". Everyone’s welcome! Hope to see you there, and please invite a friend or a neighbour. 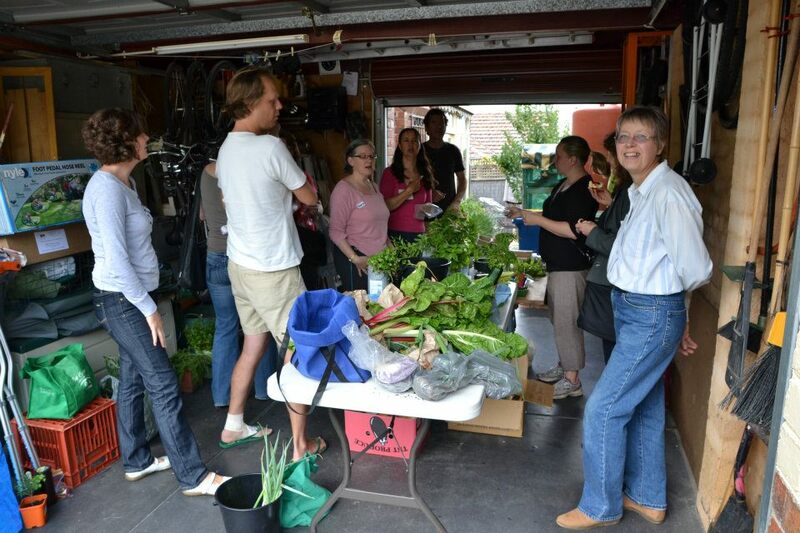 Sustainable Fawkner food swap is this Saturday, so come along and meet new friends, have a cuppa, swap ideas and a vegie or two if you have any. Feel free to come even if you don't have spare produce to swap. A large part of the food swap is sitting around drinking tea and coffee and chatting about plants, recipes, life, etc! This year throughout the month of June Moreland City Council are asking residents to take the Zero Waste for a Week Challenge. The challenge is to not put anything in your rubbish bin but you can still recycle and compost throughout the week. The first 50 Moreland residents to register will receive a free compost bin and the first 150 residents will receive a waste wise kit. Suffering (?) a bounty of Autumn produce? Sick to the back teeth of the same home grown veg? Don't fret, you are not alone and there is a solution! Take yourself and your surplus produce down to PepperTree Place for the Coburg Edibles Swap this Saturday (and on the first Saturday of every month) and swap it for someone else's excess home grown amazingness. The Cafe and plant nursery are open too. If you haven't discovered this fantastic oasis of calm in the centre of Coburg, find something you have too much of in the garden and get down there and have a look. In this workshop you can expect to learn everything from the inner workings of a bee hive to the healing properties of raw honey; how to maintain a healthy hive; to the wonders of swarms and how to keep them in check. Weather permitting we'll also open a hive and have a hands-on demonstration. Come and join the celebration of Permaculture Day at Fairfield Community Garden! - Music and much more! Bring your picnic rug, food, cups, plates and cutlery and enjoy a day out in the garden!